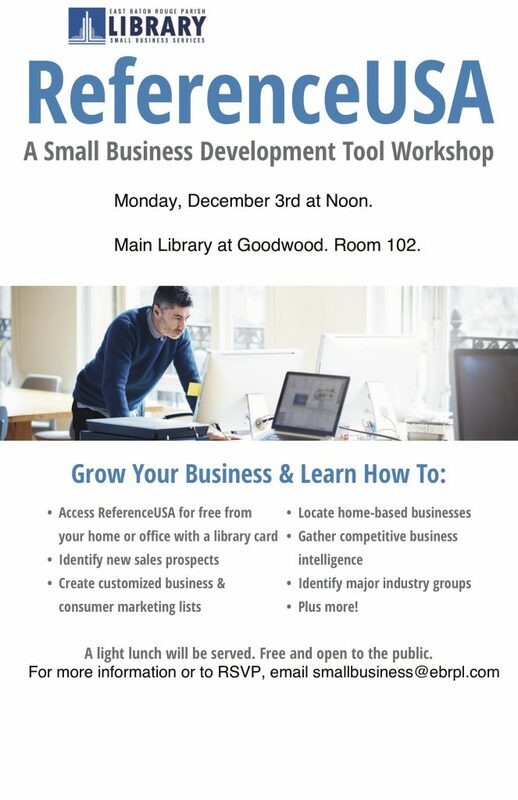 Join us next Monday, December 3rd, starting at noon, to learn more about how Reference USA can help you grow your business! This free resource is available from anywhere with your East Baton Rouge Parish library card. You can use Reference USA to identify sales prospects, create customized marketing lists, gather competitive business intelligence, and more! To register, please email smallbusiness@ebrpl.com.